Carpet offers the greatest choice of color, pattern, and texture amongst soft flooring, and come in a variety of qualities to suit different levels of wear. Custom-made types are available for those with specific requirements. 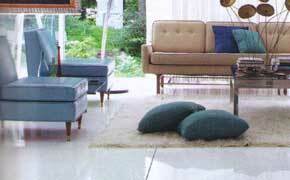 Recent furniture shows have uncovered interesting and modern designs. Contrasting textures, materials and patterns woven or cut into the carpet’s pile are featured in many furniture designers’ works. An example would be cut felt petals inserted into the pile for a fluffy effect that charmingly mimics the Indian flower garlands. and can add color to a neutral scheme. 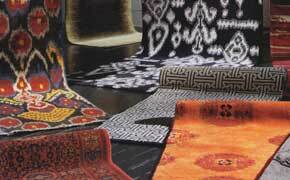 Modern rugs are valued as works of art in their own right and can be the key to the color and style of a room. 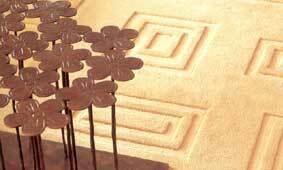 Placed at the center of a seating arrangement, they become a natural focus. They don’t need to come in boring rectangular blocks. 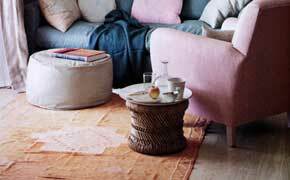 I’d recommend that you experiment with differently shaped rugs. In fact, you can take a leaf from nature and deconstruct the floor space by placing rugs colored and shaped like stepping stones over hard granite or homogenous tiles for a play in texture and feel. 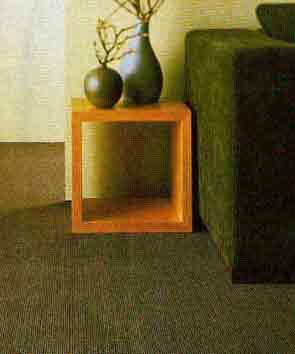 Natural-fiber flooring such as coir, sisal, and jute is usually laid wall to wall. It comes in a range of natural colors and textured weaves that complement both contemporary and traditional furniture. 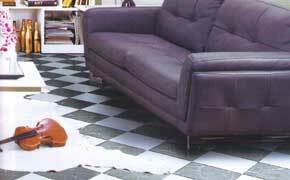 Carpet and rugs can be used for decoration on their own or they can complement wood and hard flooring, as shown here. Whatever the choice, be sure that the flooring unifies the space as it is the map that plots a home’s journey.